The Town of Mountain Village Police Department has been receiving increased reports of coyote sightings throughout Mountain Village and would like to remind residents and visitors of several helpful tips for keeping local coyotes afraid of humans. 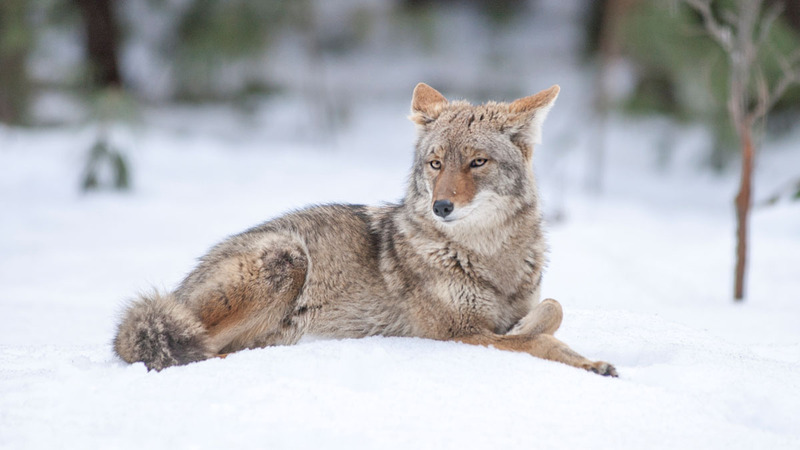 Coyote breeding occurs between January and March and pups are born from April to mid-May. People should never approach pups and should be aware that female coyotes are extremely protective of their young. If you see pups unattended, their parents are not very far away and could become aggressive if they perceive a threat to their young. Be as loud and big as possible and do not run or turn your back. Wave your arms, clap your hands and shout in an authoritative way. Make noise by banging post or pans. Throw small stones, sticks or tennis balls at them, but remember the intent is to scare them off, not injure them. Do not allow your pets to roam, especially at night and do not allow dogs to run with coyotes. Don’t leave pet food outside and keep your garbage in a storage facility or tightly sealed container. Keep garbage cans and recycling bins clean with hot water and bleach to reduce residual odors that can attract animals. For more information about living with coyotes, visit the Colorado Parks & Wildlife website.